Ride it and love it for 30 Days or Return it! If you don't love your board, we will take it back - no questions asked! 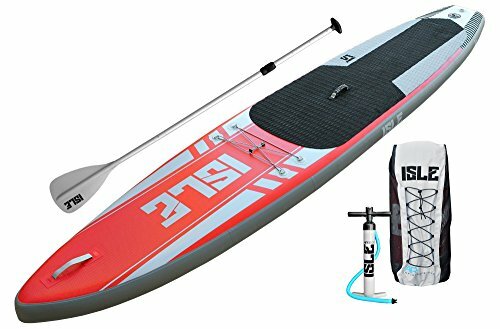 THE ULTIMATE TOURING SUP - The ISLE Airtech 12'6" Touring Inflatable Paddle Board is designed for long distance cruising on the flat water or open ocean. Equipped with nose mounted handle and bungee system, giving you plenty of room to stash all your gear. The bow shaped nose entry helps it cut across chop with ease. AIRTECH CONSTRUCTION - 12'6" x 30" x 6" | Board Weight: 20.5 lbs. | Supports riders up to 275 lbs.